TP Fans Plazza - New Joomla template from the studio TemplatePlazza. The template is intended to create a blog, fan site group, official site, etc. Template support component K2, as well as create a new module timing TP Countdown. November Jooma template from the guys from the studio TemplatePlazza. 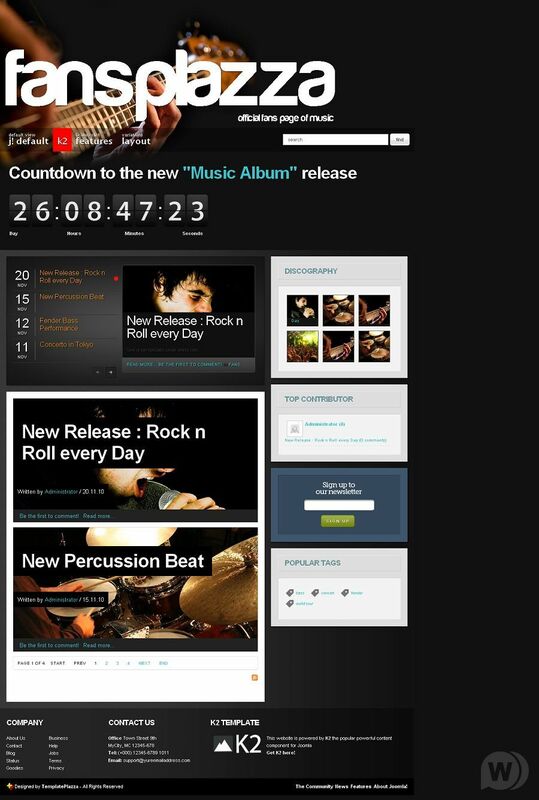 Template made in the creative and musical style, designed for the site of the musical group or fan site. Includes support for K2 and template engine TPFramework 2. Includes 24 module positions.